GB's Mahama Cho defeated Roman Kuznetsov (Rus) 22-4 in the men's +87kg semi-finals but lost to Abdoul Issoufou in the final and takes the silver medal. 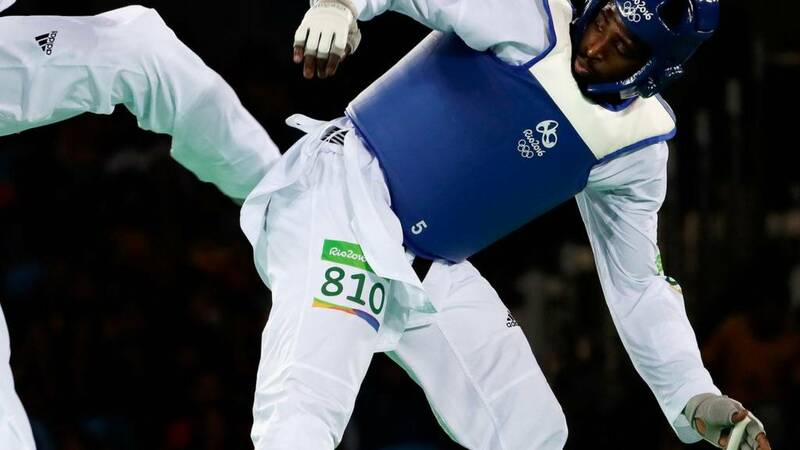 GB's two-time Olympic gold medalist Jade Jones was involved earlier today in the women's -57kg quarter-finals. Jones beat Taiwanese fighter Chen Yu-chua 11-8 to progress to the semi-finals. GB's Bradly Sinden also secured at least bronze in the men's -63kg, beating Jaouad Achab (Bel) in the quarter-finals. Yesterday GB's Bianca Walkden convincingly defeated Jackie Galloway yesterday (USA) 14-4 to win gold. The duration of the contest is three rounds of two minutes each, with a one-minute rest period between rounds. In case of a tie after the completion of the third round, a fourth round of one minute will be conducted as the Golden Point round, after a one-minute rest period following the third round. The final match score shall be the sum of points of the three rounds. The World Taekwondo Championships this year take place in Muju, South Korea. The championships are made up of eight different weight classes for both men and women.